Did you know that National Library week is April 7th-13th? Make sure to stop by to celebrate with us! Tuesday April 9th we will have a kids’ come and go craft event from 3:30-5:30 pm. *POSTPONED- Sherrie Hansen's visit has been postponed. We will post a new date when we have one! *Thursday April 11th at 6:00 pm author Sherrie Hansen from St. Ansgar will be here talking about her newest book “Daybreak” and one of the main subjects of the book—quilting. And stop by at other times during the week for a sweet treat! The library has really been feeling the love these past couple of months. The community businesses have shown amazing support for the library by sponsoring many of this coming summer’s Summer Reading Program events!!! We have been given monetary donations from CarQuest, Dewey Krueger, the Top of Iowa Welcome Center, Inject Technology, Northwood Dental, Olson and Worth Mutual Insurance, and Rock-A-Billies. Kelly Hardware is sponsoring our kickoff party, Kenison Publishing (the Northwood Anchor) is sponsoring the Science Center of Iowa, NSB Bank is sponsoring the RAD Zoo, Kenison Construction is sponsoring the ISU Insect Zoo, and FSB Bank is sponsoring our end of the summer pool party!! We can’t thank these sponsors enough for what they have given. We are so very grateful for their support, and I know our kids will have a wonderful time this summer at all of these events!!! Friday morning story hours are still going strong. In the next few weeks we will celebrate spring, National Library Week, Easter, and May Day. Join us Friday mornings at 10:00 am for a fun time of playing, crafts, stories, and a snack! Best for kids 3-5 but all are welcome to attend! Thursday April 25th at 6:30 pm we will have our next evening story hour. Stop in to decorate a pot and plant a seed and see how it grows in the next few months! As usual we will also have a story and a snack! Come join in the fun! Exciting news!!! Dan Wardell from Iowa Public Television will be visiting our library in June! Look to next month’s newsletter for an exact date and time! Adult Fiction: “The Victory Garden” by Rhys Bowen, “The Perfect Alibi” by Phillip Margolin, “The Persian Gamble” by Joel Rosenberg, “Where the Crawdads Sing” by Delia Owens, “Run Away” by Harlan Cobenand “The Silent Patient” by Alex Michaelides. Adult Non-Fiction: “The First Conspiracy” by Brad Meltzer, “Girl, Stop Apologizing” by Rachel Hollis, “Everyday Millionaires” by Chris Hogan, “The Clarity Cleanse” by Habib Sadeghi, and “The Library Book” by Susan Orlean. Make sure you stay up to date with everything going on at the library! 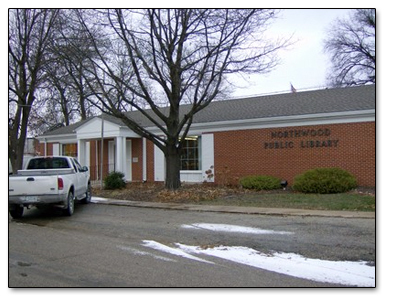 Like us on Facebook https://www.facebook.com/northwoodlibrary/. We hope to see you at the library soon!